Our first TEDx Alkmaar Salon was a great succes. Stay tuned for updates about SALON #2. Our first SALON at 'De Ondernemerstuin' was a great succes. Wim van Bokhorst showed us how to make good use of storytelling. How do you make an impact with your talk? Speaker Jeroen Gmelich did just that with a talk straight from his heart. He talked openly about the loss of his good friend and the handicapped son they took in. Nomade Dennis Nolte is looking for dreams and the people willing to share them. He then helps them to make them come true, with the program SDG Toer Mee. 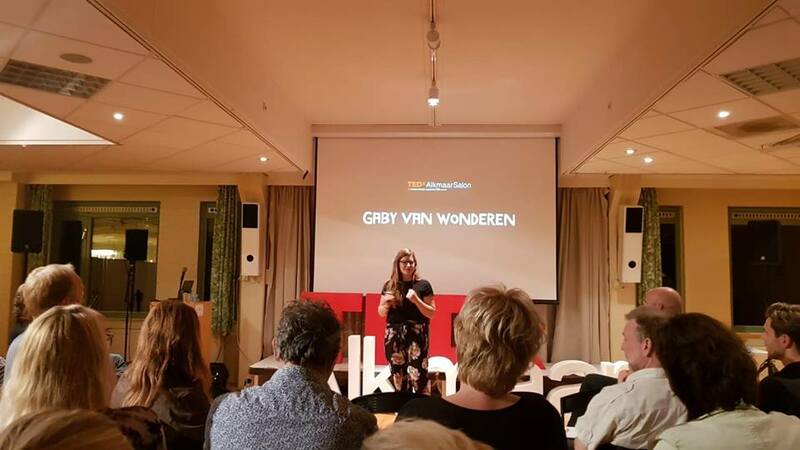 Happy Activist Gaby van Wonderen moves people with her initiative Love. Not Waste. By organizing beach clean ups, from Texel to Morocco. But there's more. On November 21st you can attend at our second (and last) SALON. Learn about TED and the 17 Sustainable Development Goals. Get inspired for the 'real thing' in the grand church of Alkmaar on January 21st 2019. More info coming soon.